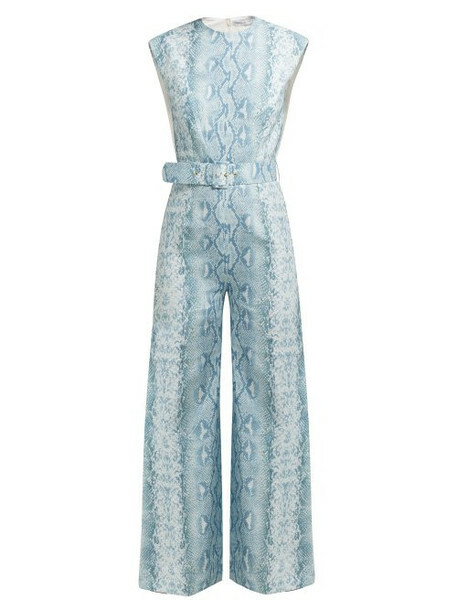 Emilia Wickstead - Tap into the season's animal print trend with this blue and white Barbara jumpsuit from Emilia Wickstead's Resort 2019 collection. Made from lightweight linen and patterned with a python design, it's shaped with a slim-fitting bodice - which can be cinched with the detachable belt - and finished with neatly pressed wide legs. Style it with all-black accessories for a special occasion.